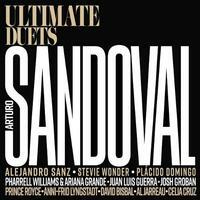 Arturo Sandoval - Ultimate Duets! Cruz "Quinbara," Pharell Williams, Ariana Grande "El Dorado" and many more! A blazing, technically flawless trumpeter, Arturo has been dazzling audiences all over the world with his supercharged tone and bop-flavored flurries way up in the trumpet's highest register.